Caring for you and your environment by only providing products that are of great quality but do not cost the earth. All of our products will meet all or most of our eight criteria. Sustainable, locally hand made, organic, bio degradable, recycled, reduced impact on our earth, animal cruelty free and vegan friendly. No palm oil is used ever. WOW! We have new soaps coming this week, get ready for mum's day! Sandalwood soap. The health benefits of Sandalwood water and powder can be attributed to its properties as an antiseptic, anti-inflammatory, antiphlogistic, antispasmodic, astringent, cicatrisant, carminative, diuretic, disinfectant, emollient, expectorant, hypotensive, memory booster, sedative and tonic substance. Our soap made of Western Australia Sandalwood water and powder, and north west extra virgin olive oil, best of the best! Also we have special twin packs, 90g+90g. 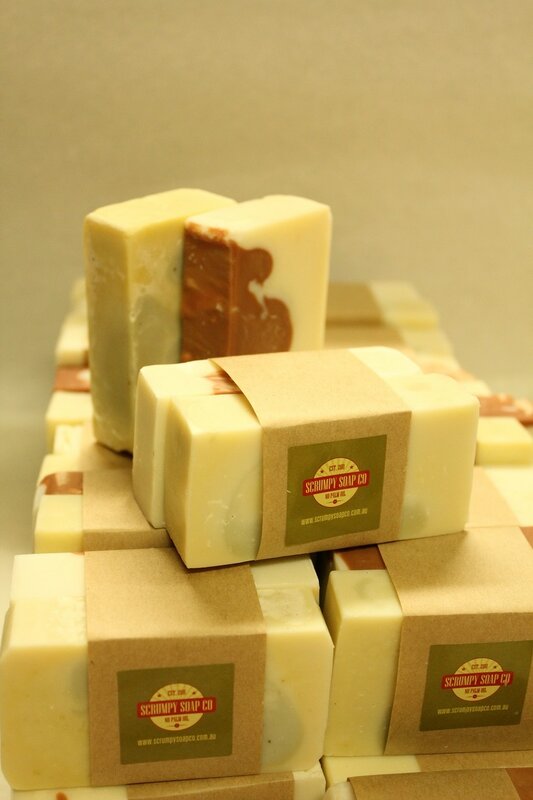 Welcome to Scrumpy Soap Co.
We lovingly make all our soaps by hand, using old fashioned soap making methods. We use only natural ingredients including local Olive oil, Australian Organic Hemp seed oil, home grown spray free herbs, natural Australian clays, only 100% natural Essential oils and fresh rain water. 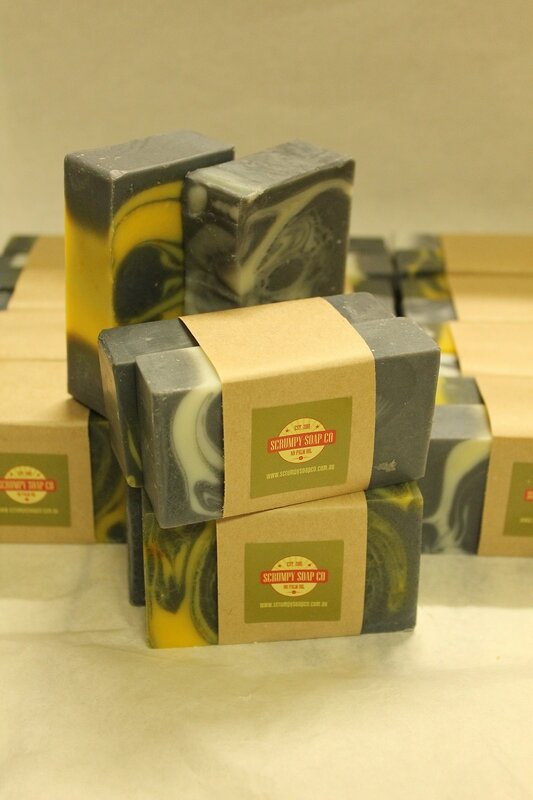 Our soaps are completely Palm oil free. We care about you and your environment. Scrumpy soap is 100% bio degradable, safe to go down the water way, straight onto your garden or into your grey water system. Scrumpy Soap Co is a natural product with no artificial additives or preservatives, artificial colours, fragrances, hardeners or lathers. We support "Truth in labelling" and list all ingredients. 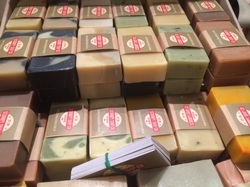 We also promise our soaps are less likely to irritate your skin compared with the commercial soaps you buy from the store. Why? Because our soap making process keeps the skin-loving glycerine in, unlike so many commercial soaps. 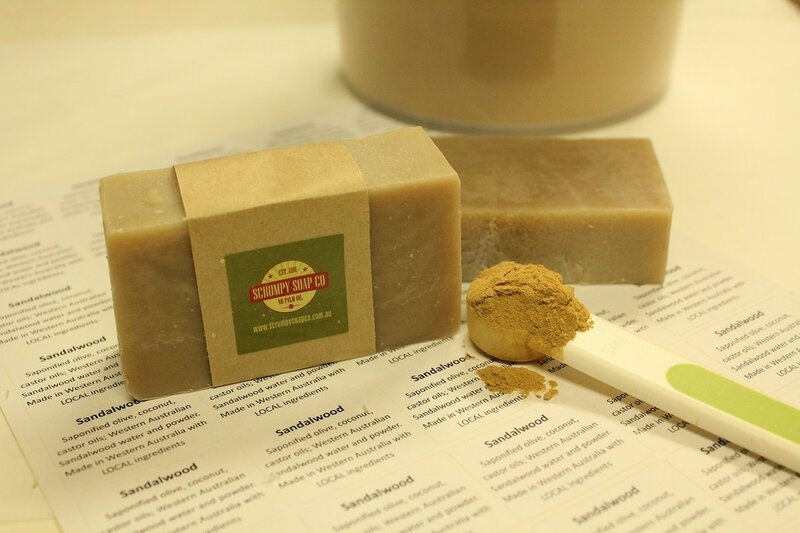 With no other un natural additives, this makes Scrumpy Soap a natural, gentler choice. But most importantly Scrumpy Soap Co. does NOT use palm oil in any of its soaps. We make this choice for environmental and ethical reasons. But what this means is every single one of our soaps are not only great for your skin, but the environment as well. Through the support of regular clientele, we have being able to support four Orangutans last year. Dodo, Kopral and Shelton from BOS Australia, and Jarot from The Orangutan Project. This year we have recently adopted baby Nita. We are also working on expanding our range of products to include a variety of natural cosmetics such as balms, bath oils and salts, moisturises and essential oils which will be available online in 2016. Enjoy this affordable, guilt free indulgence today and notice the difference to your skin.